Jason Paul Collins was born on the 2nd December 1978, in Northridge, California, USA, and is recognized for being a former professional basketball player, who played in the position of center in the National Basketball Association (NBA) for such teams as the New Jersey Nets, Atlanta Hawks, and Brooklyn Nets. His professional career was active from 2001 to 2014. So, have you ever wondered how rich Jason Collins is, as of early 2017? According to authoritative sources, it has been estimated that the total size of Jason’s net worth is over $16 million, an amount which has been mostly accumulated through his successful involvement in the sports industry as a professional basketball player. 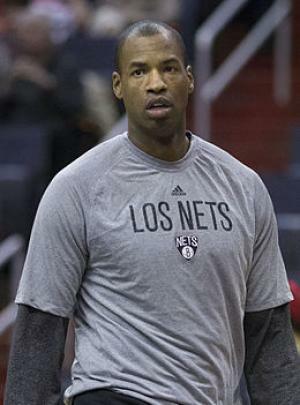 Jason Collins is the twin brother of Jarron Collins, who was also a professional NBA player. He attended Harvard-Westlake School in Los Angeles, California, where he began to play on the school team together with his twin brother. They won two California Interscholastic Federation state titles with a combined record of 123-10, and they also broke the record with 1,500 rebounds. Upon matriculation, he enrolled at Stanford University, and continued to play with Jarron on the college team – the Stanford Cardinal. He distinguished himself as a basketball player, and was named All-Pac-10 first team and the third-team All-American team by the National Association of Basketball Coaches (NABC) in 2001. He finished his college career with .608 field goal percentage and 89 shots. In no time, Jason’s professional playing career began, when he was selected in the first round of the 2001 NBA draft as the 18th overall pick by the Houston Rockets, so he signed a rookie contract, which marked the beginning of his net worth. The Nets reached the NBA Finals in 2002, and before the next season, Jason’s contract was extended for five more years, worth $25 million, which added a considerable amount to his net worth. One of his best seasons was the 2004-2005 season, when he began to play in the position of center, averaging 6.4 points and 6.1 rebounds per game. He stayed with the Nets until 2008, when he was traded to the Memphis Grizzlies, but then spent the following season with the Minnesota Timberwolves, where his best game was against the Phoenix Suns, when he scored 8 points and had 6 rebounds; however, when his contract expired he was waived by the team. The 2009-2010 season Jason began as a member of the Atlanta Hawks, staying with the team for two seasons and averaging 1.5 points and 1.6 rebounds per game. During his time at the Hawks, he was named “the best defense on all year” by the Orlando Magic coach Stan Van Gundy. In 2012, he signed with the Boston Celtics, appearing for the team in 32 games, however, in the following year, Jason was traded to the Washington Wizards, playing in six games. After the 2012-2013 season ended he became a free agent, and didn’t play basketball until 2014, when he signed a contract with the Brooklyn Nets, becoming the first publicly gay player who was a member of any of the four major North American pro sports leagues, increasing further his net worth; however, in the same year he retired. Speaking about his personal life, Jason Collins is openly gay and he is in a relationship with producer Brunson Green. Previously, he dated former WNBA center Carolyn Moos, with whom he planned a wedding in 2009, but it was cancelled. His current residence is in Los Angeles, California. In free time, he is active on his official Twitter account. 1 I always knew I was gay, it's like you know that the sky is blue but you keep telling yourself it is red. I fought it for a long time but when you finally get to the point of acceptance there is nothing more beautiful. It feels incredible. 2 I'm a thirty-four year old NBA center. I'm black. And I'm gay. I wish I wasn't the kid in the classroom raising his hand and saying 'I'm different'. If I had my way, someone else would have already done this. Nobody has, which is why I'm raising my hand. 1 One of Time Magazine's 100 Most Influential People in the World. [April 2014]. 3 Drafted by the Houston Rockets in 2001 along with current teammate Richard Jefferson. 4 His twin brother, Jarron, plays for the Utah Jazz. 6 Favorite player as a kid was Hakeem Olajuwon. 7 In high school, worked as a Sunday School teacher.